Jason Moring, President of Double Dutch International (DDI), has announced an output agreement with Awesometown Entertainment to sell worldwide rights for their ongoing animation productions. To kick off the megadeal, Double Dutch will be selling 16 million US dollar budget ELLIOT: THE LITTLEST REINDEER at AFM’14. Double Dutch and Awesometown plan to produce two to three animated features annually in the $10MM to $15MM budget range. ELLIOT: THE LITTLEST REINDEER is based on a multi-award winning screenplay, having been named best Canadian screenplay in all categories by Praxis and securing the Angel Award in Monaco for Best Children’s Screenplay. The animated feature is directed by Paul Griffin. Griffin was the lead animator on HAPPY FEET TWO and STAR WARS: ATTACK OF THE CLONES. He also worked on STAR WARS: THE PHANTOM MENACE and LORD OF THE RINGS: THE RETURN OF THE KING. ELLIOT: THE LITTLEST REINDEER production begins this January. Double Dutch will be pre-selling the feature at AFM’14 and present early stage character designs to buyers. After Blitzen announces his retirement on December 21st, a miniature horse has three days to fulfill his lifelong dream of earning a spot on Santa's sleigh during the North Pole Try-Outs. 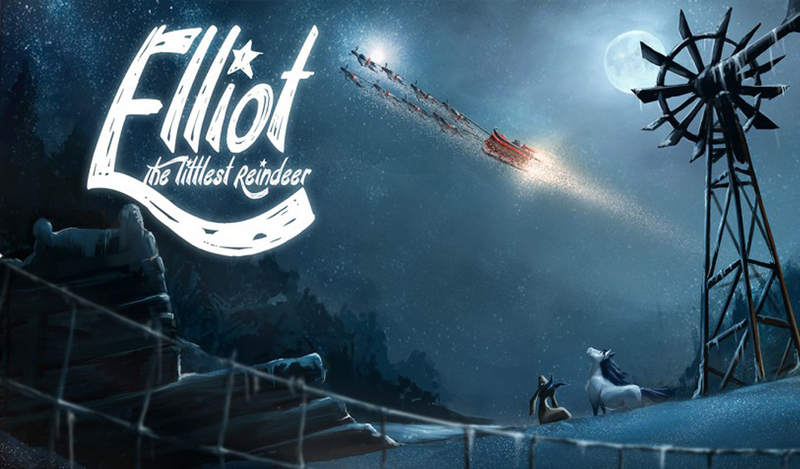 ELLIOT: THE LITTLEST REINDEER is an animated underdog story for the ages. Double Dutch will also be selling Canadian rights for ANIMAL CRACKERZ, the film from which the partnership deal originated. The film is co–produced with John Williams (SHREK) and Vanguard animation.